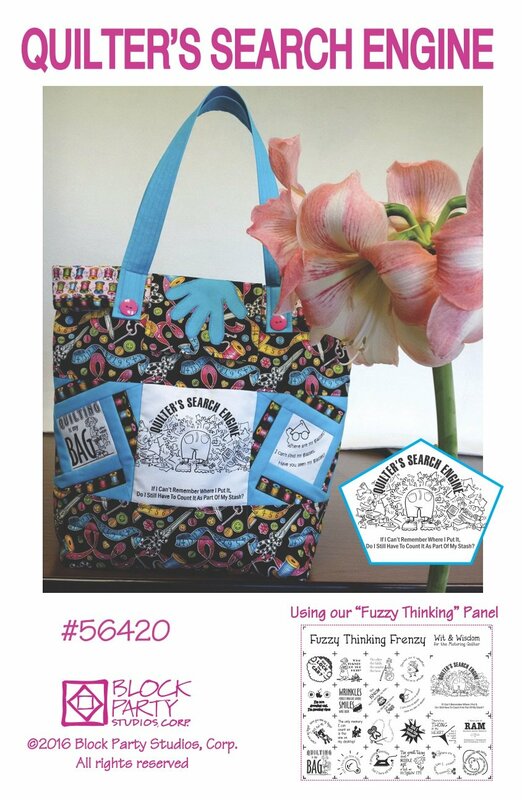 Any quilter who loves wit and wisdom will love this tote bag pattern with "Fuzzy Thinking" panel. Panel is hand-printed on a 100% Kona Cotton fat quarter. The fabric panel is available printed with black ink on pink, white or natural fabric. Tote bag finishes to approx. 17" tall by 15" wide. This item includes tote bag pattern and "Fuzzy thinking" panel.